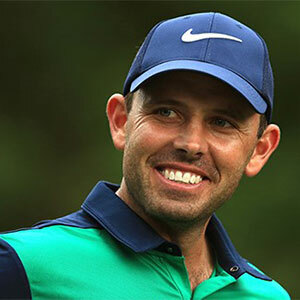 South African Charl Schwartzel shot the lowest round on Sunday to reel in Bill Haas before edging him out at the first extra hole of the Valspar Championship. Schwartzel fired a six-birdie 67 and then a two-putt par was enough to claim his second win on the PGA Tour. The highlights of his final round were a brilliant fairway wood to the 11th and a 64-footer two holes later for a birdie two. He then made a 10-footer for birdie at the next, produced a brilliant up and down at 16 and recorded a second two of the day at the 71st hole. Haas led by three late on after a sand save at 15 but he couldn’t repeat that at the next and Schwartzel’s strong finish closed the gap. Haas then pushed his tee shot in the play-off, then found sand and a poor recovery left him too much to do. Former Innisbrook resident and still an amateur Lee McCoy made a four-foot par putt to make the cut on Friday and then enjoyed the weekend of his life. The 22-year-old, who grew up close to the 1st tee, shot 69 playing alongside Jordan Spieth to take fourth spot. Ryan Moore finished in third on his own. McCoy can’t accept any winnings but can give any winnings to charity so he chose to give his money to 50 Legs which provides prosthetic limbs for children and adults. It is run by McCoy’s trainer. He will spend his Monday playing 36 holes in a college tournament. What Schwartzel said (of his dip in form): "It was a snowball in the wrong direction. (I thought about) just saying let's just start over (and missing the FedEx play-offs), let's just get your game in the right shape and then make this year a good year. It's hard to pinpoint exactly what it was but I needed confidence. "He (my father) gave me all old feelings and sort of things that we used to work on that I had forgotten to work on again and made it very simple. I started trusting it and started believing it. Then winning in South Africa helped because there you're hitting good shots under pressure to win. That gets your confidence up."